School of Dragons is an expansive game. From the array of features, abilities, and ways you can train your dragon, it’s nearly impossible to run out of fun ways to enjoy the game. Although, newer players may not know about all of the destinations that you can travel to after you gain more experience with your dragon. 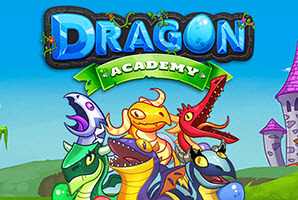 While there are always exciting things to do on the school grounds, you and your dragon will be able to travel to one of the five locations in the game, which are all filled with their own twists and tricks. You may be thinking that exploring five separate places may be a challenge but there are no worries. You can take your time exploring each new location! Moreover, some of the in-game quests will require you to travel to these locations anyway so you’ll get your fill of exploring no matter if you are doing on our own free will or to collect a cool award from completing one of the many quests. Before you start to travel across the dragon universe, you might want to take a look at a brief introduction of each location and what to expect when you visit. The cove is located on the Isle of Berk. This paradise is a sunken area filled with stunning greenery, a large, lively tree, and a pond full of fish that you can catch and feed to your dragon. Due to the cove is one of those areas that less visited, Hiccup, one of the legendary Vikings, has personally used it as his training ground when he and Toothless were getting used to one another. The Viking village is home to the Vikings, who have lived there peacefully for several generations. While this homey area has a rich history filled with the Vikings trying to battle against all of the odds – it is filled with an interesting array of locations. One is the Great Hall, a building that has the space to house every Viking in the village if needed, as well as being the location for dragon studying. Who knows, maybe you’ll see one of the friendly dragons wondering around the village. Dragon Island did not always have a pleasant history as it was home to the Red Death that trapped the dragon until Hiccup and Toothless saved them in the past. This island is secretly hidden behind a thick layer of ash from a nearby volcano – making it an area that many Vikings have avoided for years before it became liberated. This location is marked by being an ominous pit located near the Great Hall. While exploring these caves can lead to finding an array of hidden treasure – you should always be on your toes at it houses great dangers as well. While the whispering deaths take taken the caves as their homes, there’s always a way to avoid them and defeat them if needed.